Hopefully this will help make your fire-related characters easier to bring to life. Thanks to Kaldath for picking a great item for his prize! I like this new hair. I’m trying it out right now. Something I just noticed is that the hands to the skinny body in MaleAlternate aren’t in the Male Hands. Also, the Wolfman like ones are in there twice. That is a great addition, Jeff. Thanks to Kaldath for choosing such a useful item! 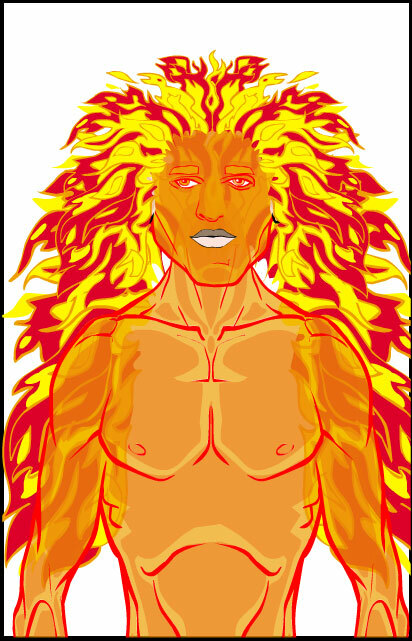 As for there being two fire hairs, the original is a very different kind of flame “hair”. 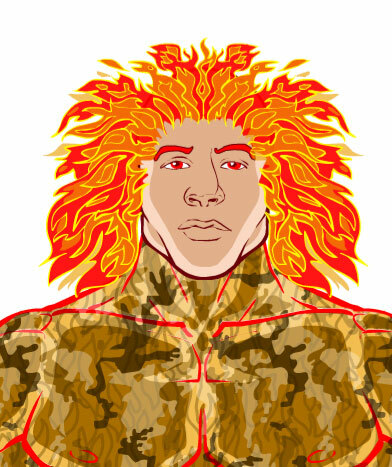 It’s more “flames in place of hair”, while this new one is flaming hair or flames that “lay” like hair. Something I want to point out with this hair is that if you change the color of it, you can make it look like regular, thick hair. 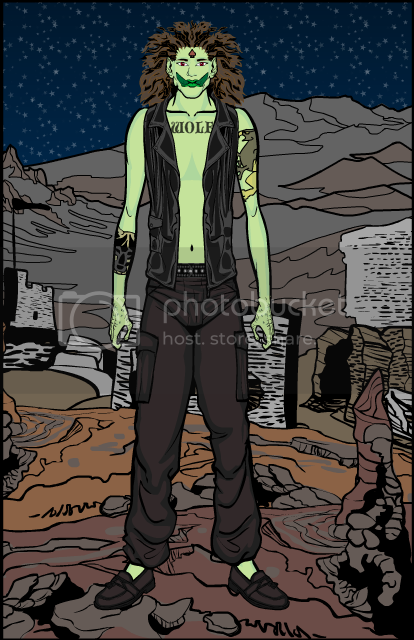 I just made a pretty sweet punk rock Orc with this hair. Cool Jake, if you have a link for it I know I’d love to see it. I look forward to giving this guy a guitar to break. Thanks Jake, that’s pretty cool. Nicely done. Great job Jeff, you never let us down.